Just a short walk from the Staples Center and Pershing Square, this premier workspace is designed with your efficiency in mind. 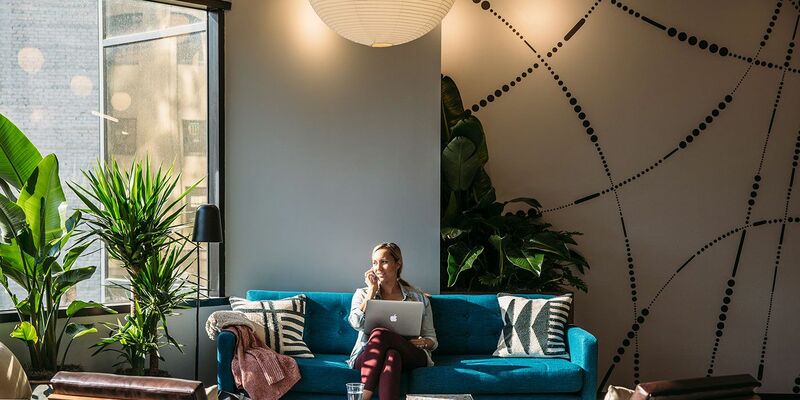 The modern building is complete with floor-to-ceiling windows, flexible floor plans, and sophisticated interiors that will inspire your best workday, every day. Cole is a Community Manager at Industrious. Prior to joining the Industrious team he managed several restaurants in Los Angeles. He studied politics at the University of Virginia and loves spending his free time in the kitchen. Maddie is the Operations Associate at Industrious Downtown Los Angeles. Born and raised in the suburbs of Southern California, Maddie is proud to represent Downtown LA as the Operations Associate. She joins Industrious after earning her BS in Business Marketing from the California State Polytechnic University of Pomona. During college, she interned for a small coworking space in her hometown, igniting her passion for creating collaborative and hospitable environments. Outside of Industrious, she is passionate about sustainable travel, enjoys reading good books, and can be found rummaging through antiques at local flea markets.